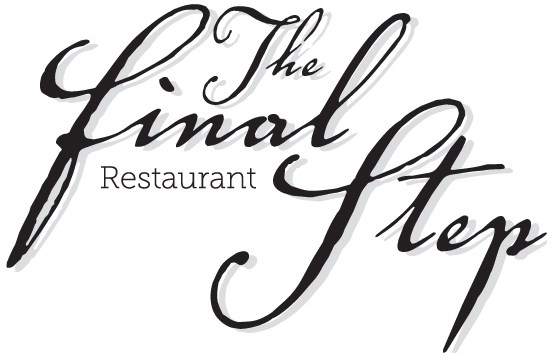 Welcome To The Final Step Restaurant Skiathos - Website of finalsteprestaurant! "Probably the best dining in town, if not the Aegean." - The Guardian. Situated up on St Nikolas Square, next to the old church, overlooking the town, The Final Step offers magnificent views across the port and out over the Aegean. Pam and her team work tirelessly to ensure that the food and the service are up to a fine dining standard. The food offers a modern Mediterranean twist on local produce, with dishes such as grilled octopus, lamb cutlets and greek salads being the most popular. Come for lunch or your evening meal, and watch the world go by with a glass of wine from our carefully curated wine list, choose an unforgettable dish from our mouthwatering menu and soak up the atmosphere in this beautiful part of Skiathos town. Our recipe is simple: fantastic location, relaxing environment, great food, fine dining, attentive service and affordable prices.